Tomato Preserves - Canning Homemade! 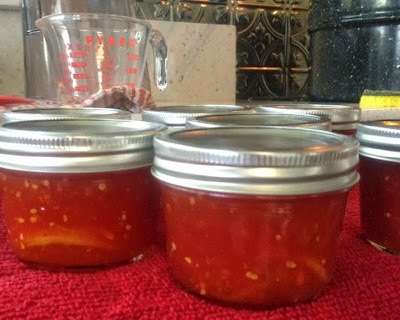 I was blessed this weekend with a follower, Erin, who shared with me a recipe that I have done before from a different canning book but Erin's is from the Joy of Pickling. It has an interesting twist in that there is a lemon slice at the bottom of each jar. It looks so interesting I asked her if I could share the recipe and the pic that she put up. Thanks again Erin for a great inspiration for using tomatoes in a classic way that many remember from the past! Note: this is not a beginners recipe! Add tomatoes, lemons, and spices. Reduce heat to low and cook tomato mixture until dark red and translucent. Skim off any foam - remove spices -with plastic utensil remove lemon slices place in bottoms of sterilized jars. Ladle preserves into half pint jars leaving 1/4 inch headspace. Wipe rims and add hot lid/ring. Process the jars for 20 minutes in a boiling water bath. 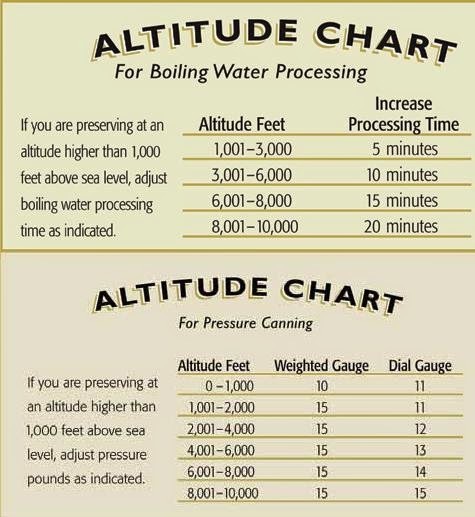 Do not start timing until the water has come back to a full rolling boil.